We are here to be helpful - our approach is professional, flexible, relaxed and friendly! Anne Molloy’s Occupational Therapy Consultancy (based in West Harbour) has been in operation for over 20 yrs and is based on the belief that an individual’s needs and goals are of the utmost importance. All consultations are focused on meeting those requirements. Assessments aim to identify any barriers that impede an individual’s ability to achieve maximum personal, social and vocational independence, obtaining a driver licence, and quality of life. Interventions recommended aim to assist a client in their quest for meaningful social and vocational engagement with those who are important to their physical, intellectual, educational, social and spiritual well being. The New Zealand Standards of Practice for Occupational Therapy are applied. Anne Molloy NZOTR is a current member of the New Zealand Association of Occupational Therapy Association and an NZTA approved medical driving assessor. 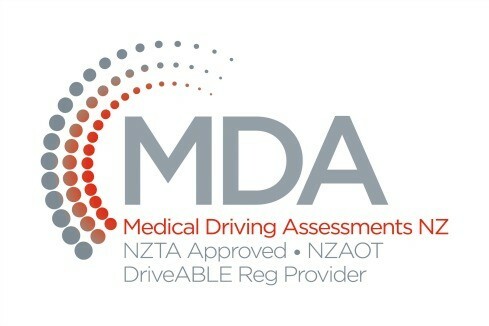 Anne Molloy NZOTR is also a trained DriveABLE Therapist, ensuring Best practice and Evidence Based Practice in cognitive medical driving assessment of the medically at risk driver. NZTA approved – We also provide road code competency evaluation, driver risk evaluation, driver training and re-training in all NZTA driver licence classes. Privacy – No information is sent to anyone other than the client, without consent from the client. Your GP or Specialist will receive a copy of the reports, if you were referred by your medical professional, with your permission. A Privacy Agreement is signed a the time of the assessment. (PRIVACY ACT 1993 AUTHORISATION) NZTA requirements are also met.